Includes Medical Alarm & Alerts which enable an alert to be sent for assistance, monitored alarms, fall detectors, pendants, motion detector, sensors for bed, mats, and property exits. Good news, choosing a medical alarm is simple. Make sure it has St John on it! 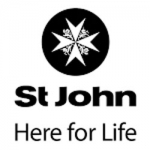 The St John Medical Alarm is the only medical alarm that connects you . . .
Organisations that provide Medical Alarm & Alerts which enable an alert to be sent for assistance. . . .